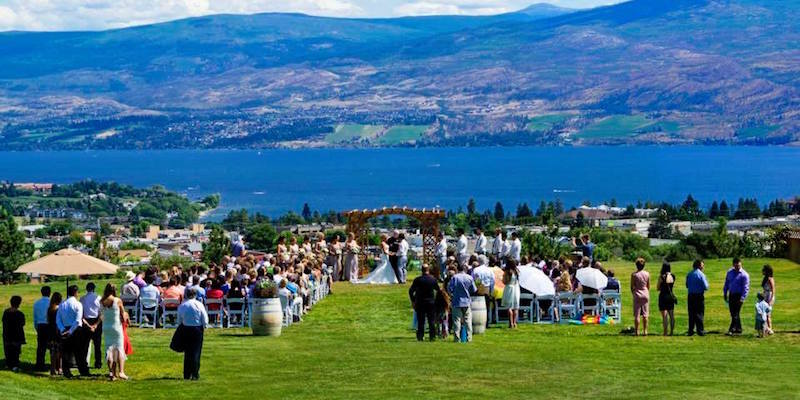 If you have always envisioned your wedding ceremony to be overlooking a beautiful lake and mountains, Off the Grid Organic Winery is an amazing option. Not only will the staff be ready with everything you need to have a perfect wedding, they will make you and your wedding guests feel like you are on cloud nine. Now, let’s check out some more pictures and information about this wonderful company! Now, this wasn’t always a winery. This company dates back to generations. Their agriculture has gone through many stages until they decided to grow their own grapes and create this romantic setting for the ultimate wedding destination. Besides the breathtaking view for your wedding, Off the Grid Organic Winery really wants to make your day special. Your wedding pictures will be unique, cultural, and leave you speechless. Having a wedding in a vineyard has a lot of benefits. You know the wine will be spectacular, the decor will be elegant, and your wedding guests will have smiles on their faces throughout the whole day. When the sun reaches the perfect peak over the mountains, you will feel like a princess walking over to your prince in one of the most romantic settings that you can think of for a wedding. Another great thing about Off the Grid Organic Winery is the dedicated staff. Because of the history, developments, and closeness of the staff members, you know that you will be in good hands. They are friendly and kind, so your wedding day is sure to go as smoothly as possible. You will wish that the staff could be part of all your events in the future!